The Pharmacy Services Department at Corona Regional Medical Center has locations on both the Main Street campus and Magnolia Rehab campus. We are licensed by the California Board of Pharmacy and Drug Enforcement Agency to serve patients admitted to the general acute hospital and at the behavioral health units at the hospital's Magnolia Campus. We do not provide outpatient pharmacy services. 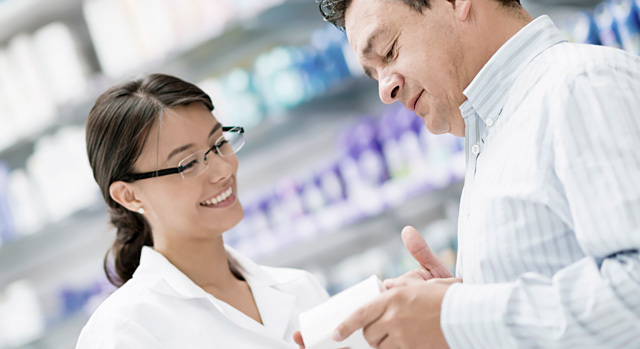 Pharmacists are on-duty 24 hours per day, seven days a week. The Department of Pharmacy Services is staffed by 20 Doctors of Pharmacy, registered, licensed pharmacists and 19 Board of Pharmacy-licensed technicians. The department is led by Dr. Alise E. Hadley, Pharm.D., Director of Pharmacy. Pharmacy leadership also includes Dr. Melinda Valenzuela, Pharm.D., Medication Safety Coordinator and Lisa Fierro, CPhT, Operations Manager. Our professional staff interprets, verifies and dispenses all medication orders for our patients in the hospital. In addition to medication distribution from the Main Pharmacy location, we provide convenient automated dispensing cabinets throughout the Main and Magnolia campuses for ready access to medications for the nurses. Intravenous solutions and admixtures are provided by the pharmacy, including Total Parenteral Nutrition (TPN), and we are licensed for Sterile IV Compounding by the California Board of Pharmacy. In addition to the Main Pharmacy location, the pharmacists are decentralized to work in the Emergency Department, Intensive Care Unit (ICU), Medical/Surgical unit and Behavioral Health Services. A pharmacist attends and actively participates in all resuscitative codes 24 hours a day, seven days a week, including Code Blue, Code White, Code Stroke and Code Pharmacist. Pharmacists provide antibiotic dosing, monitoring and stewardship program; renal monitoring and dosing adjustment; therapeutic substitution; IV to PO conversion; TPN formulation dosing; anticoagulation dosing and monitoring by protocol; and multiple dosing protocols approved by Corona Medical staff. Drug information and education is provided to health professionals, patients and the community. Pharmacists participate daily in patient care, clinical ICU intensivist and antimicrobial stewardship rounds with physicians and clinical teams. National Hospital and Health-System Pharmacy Week is observed every year during the third week of October to celebrate pharmacy professionals' dedication to quality and safety in healthcare.